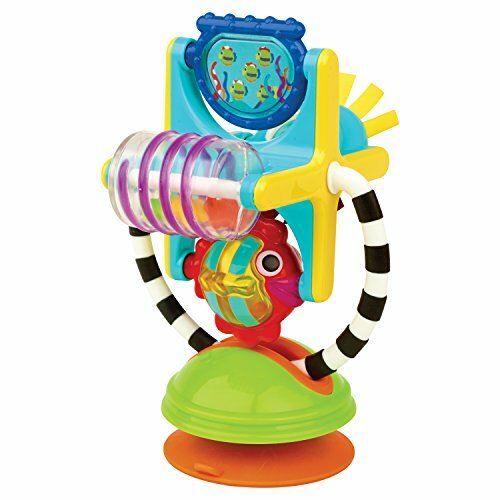 Use the suction cup base to attach the station to a flat surface and watch baby explore the many features of this station. 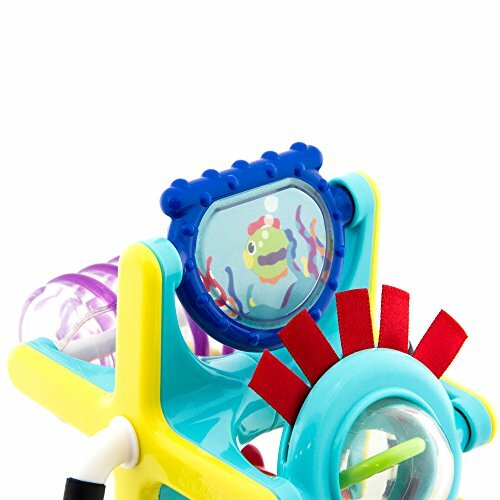 The spinning wheel encourages baby to reach, tug and bat, strengthening hand-eye coordination. 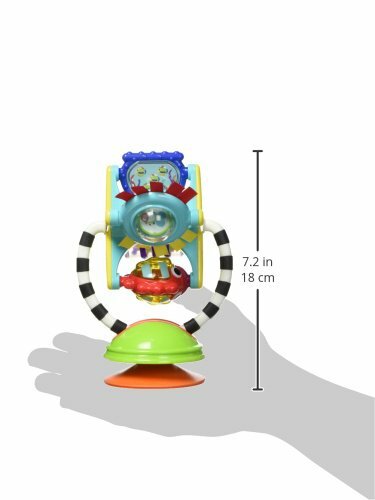 Each feature on the wheel spins individually when baby bats at it, introducing baby to cause & effect. 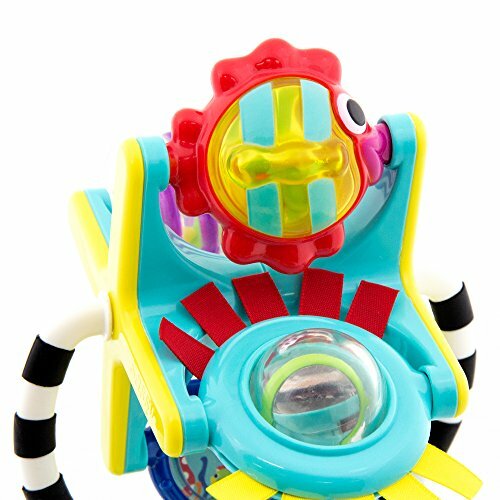 The colorful beads trapped within the clear structures allow baby to connect the sound to sight. The toy’s handle is multi-textured, perfect for mouthing. 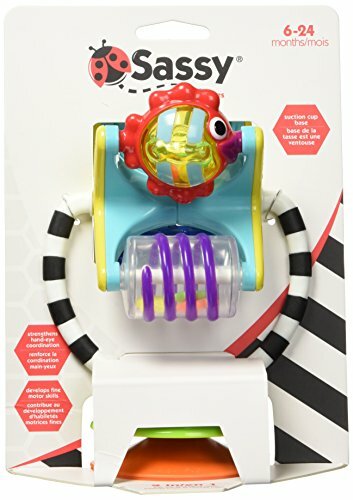 This 2-in-1 toy can be suctioned to a table or high chair tray, or removed from the base for floor play.Colorful beads within the clear cylinder allow baby to connect the sound to sight.